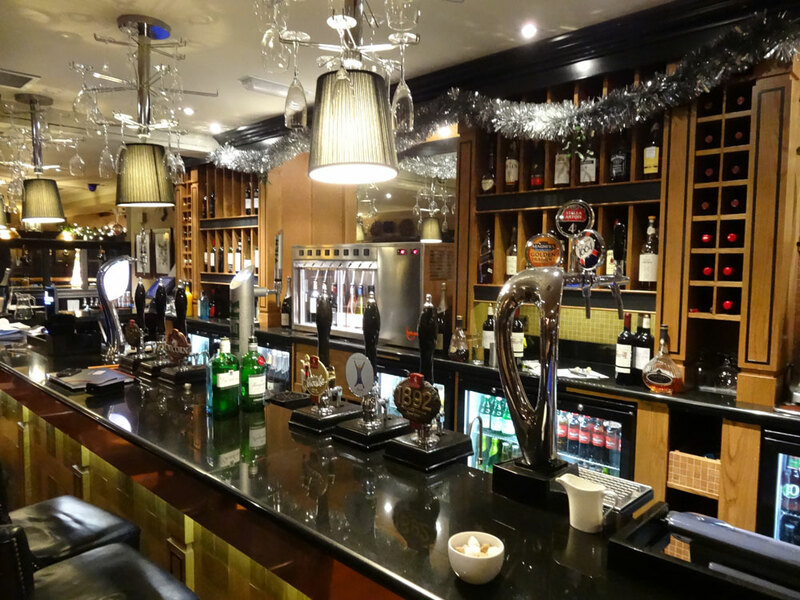 The Red Lion in High Lane has recently re-opened after an extensive refurbishment. The pub is owned by renowned North West restaurateur Steve Pilling who owns Damson in Heaton Moor, in partnership with Mr Stanley of Sam’s and Tom’s Chophouse fame. The Red Lion aims to do everything to a very high standard, with the focus on great customer service, and finely executed British food. The chefs fly in from all over the world, and have been recommended by Raymond Blanc in the 2012 Manchester Food and Drink awards. The pub itself is split into a number of different areas, each with its own special touch, whether it be around a log burner in The Panel Room, or bathed in light in The Atrium. There is a location inside to suit every event and this allows staff to organise the best possible dining arrangements. 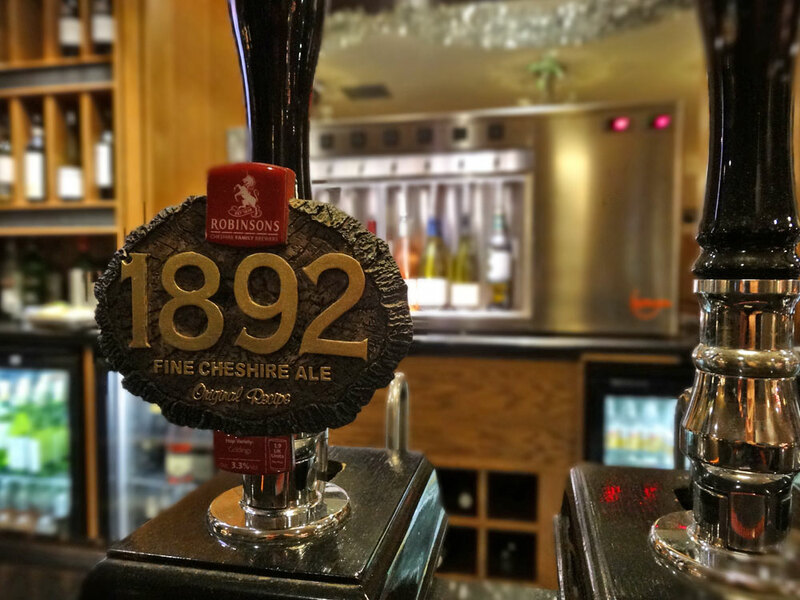 With their brewery, Frederic Robinsons, the Red Lion has invested into an 8-bottle By The Glass system. 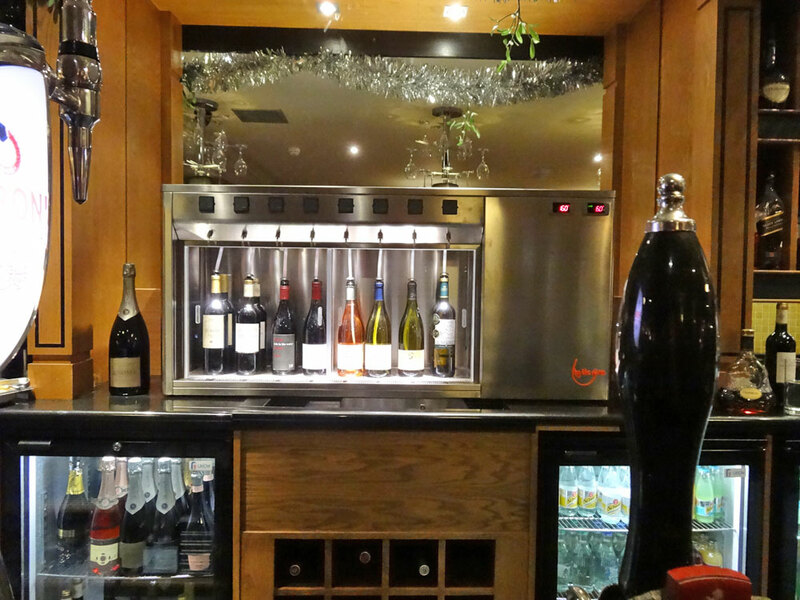 Located on the bar, this is one of the first things that guests see when entering the pub, and shows instantly that they are serious about wine. Their plans for the wine list are to extend the great selection of wines already available, offering some superb examples of the Robinsons’ list, from Sancerre to Hole in the Water Pinot Noir. The chefs are also developing new menus which can be paired with the new list, to give guests dining at the Red Lion even more of a treat. Guests will be able to see the new wines available as soon as they sit down at their table, with triangular ‘table-talkers’ showing the wines available by the glass. The Red Lion has set itself out to be the flagship Robinsons’ pub, and by using initiatives like this, they are definitely going the right way about it.